Time for a Teeth Cleaning and Exam? 50% off new patient Exam, X-rays, & Free Whitening for Life ($312.00 value) – New Patient Special Promotion only applies to this package deal. Dr. Byler and his team provide complete oral care to ensure that your smile stays in tip top shape. Everyday consumption of teeth-staining foods and beverages can really take a toll on the way our teeth look, and A complete oral evaluation with a complete set of X-rays is recommended at least once per year, while dental cleanings are advisable every six months for optimal oral health. 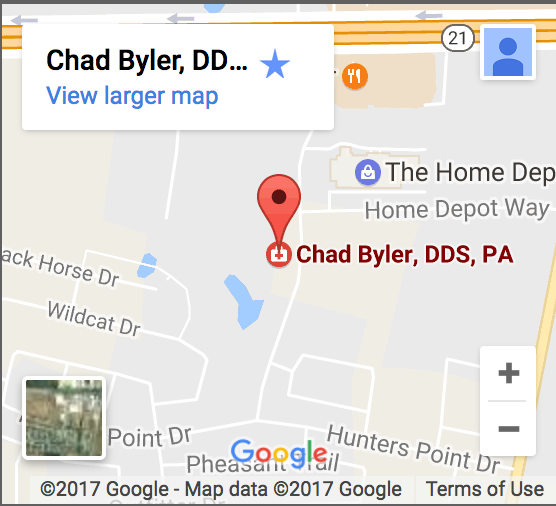 Chad Byler, DDS and his compassionate staff understands that visiting your local Bastrop dentist may not be high on your “to do” list. Whether you have a slight fear of the dental chair, or are worried about the expense, Dr. Byler has the solution. Our 50% off new patient Special takes the “Ouch” out of dental maintenance, and we do everything we can to make every patient feel as comfortable as possible throughout their experience in our office. Bastrop Texas Dentist Chad Byler DDSWe offer patients seeking whiter teeth a take home remedy to use at their convenience instead of UV light in-office treatments that can ultimately weaken and dehydrate the tooth structure. Dr. Byler provides a simple solution with whitening trays and gel that are safe and effective. Dr. Byler will explain any concerning findings and educate you as to how you might be able to improve your oral health. Your hygienist will also professionally clean your teeth to remove any tartar, plaque, or calcium deposits before buffing and polishing them to remove minor surface stains. Don’t put off your oral checkup any longer – call Dr. Byler’s office at (512) 308-9860 to schedule your 50% off new patient exan today! Why Choose Dr. Byler for a Teeth Cleaning and Exam in Bastrop? * Whitening includes custom trays and professional whitening gels. Whitening gel is refilled on subsequent regular dental visits. *Offer not valid with insurance.